Public Ad Campaign: Without Advertising, the Walls Are Ours Again. Without Advertising, the Walls Are Ours Again. I have always thought that advertising, with its interest in monopolizing public dialogue, and thus its tendency to monopolize public spaces, prevented our city from a proliferation of locally derived artworks. After Contest Promotions' (formerly NPA Outdoor) license to operate was revoked in NYC, hundreds of street level advertising signs were removed. 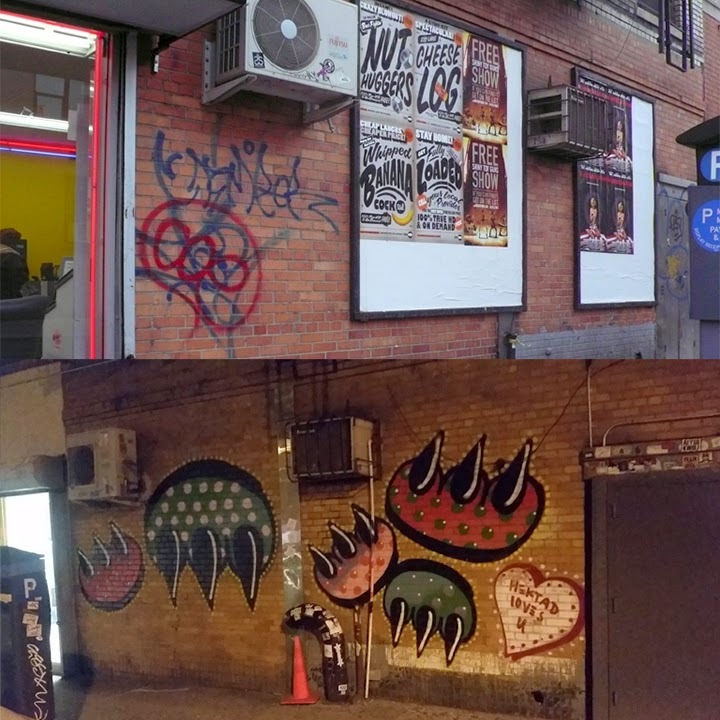 The photo above is just one example of artwork filling the hole left after advertising disappears, and proof of what I think is advertisings role in the degradation of the shared common experience of our public spaces. This is just one of many examples and I will try to remember to snap more photos on my travels about the city.